On February 20th and 21st the BLINC lab volunteered at the WISEST CHOICES Conference, where groups of Grade 6 girls visit the University of Alberta from all over the city and beyond to learn and get excited about Science, Engineering & Technology. The students who attended our activity learned all about prosthetic devices and designed their own string-powered paper prosthetic hands. We had a blast and appreciate all of the wonderful questions and insights from the students and teachers! Happy Holidays from the BLINC Lab! From everyone at the BLINC lab we wish you all the very best for the Holiday Season! We are looking forward to lots of exciting research in the New Year! On April 25th, the BLINC lab hosted the 77th Edmonton Guides. Together we learned all about engineering, prosthetic devices, tools, and robotics. The girls even had a chance to make their own paper prostheses! What an intelligent, curious, and enthusiastic group of girls. Thanks for stopping by! We just launched an open source software called brachIOplexus for mapping from human interfaces to robotic arms. The initial release includes a multi-joint mapping between an xBox controller and The Bento Arm. Future releases will add support for additional controllers, interfaces and robots as well as options for custom mappings. 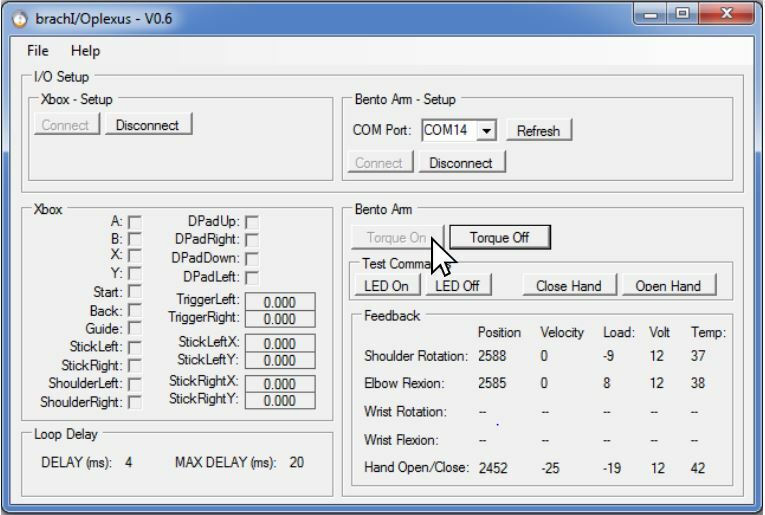 Head over to BLINCdev to find out more about the Bento Arm, and download the software from GitHub here. The results are in, and the BLINC lab’s entry to the NSERC Science, Action! competition has been awarded a runner-up position. Great job team! Today was the official launch of the SMART (Sensory, Motor, Adaptive, Rehabilitation, Technology) Network – what a great event! We are excited to be working in such an interdisciplinary team dedicated to improving health outcomes from so many different perspectives. Here are some behind-the-scenes photos from our lab tours today. Check out our recent Gateway 1050 article, written by Jonah Angeles!